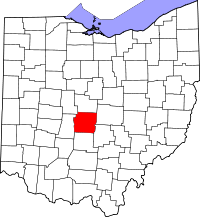 To search for vital records from Franklin County, Ohio, there are several informative websites that can be useful. The Ohio Office of Vital Statistics is one website that provides information on how to obtain death records, birth records and marriage records. Their website is http://www.odh.ohio.gov/vitalstatistics/vitalstats.aspx. Another website that provides great information on how to obtain vital records is the Columbus Public Health Website at http://publichealth.columbus.gov/birth-and-death-records.aspx. You can also make an online request for certified copies of birth certificates and death certificates through VitalChek. This service provides a secure website and the requests made online may incur additional fees. Click on the following link to access the VitalChek website http://www.vitalchek.com.